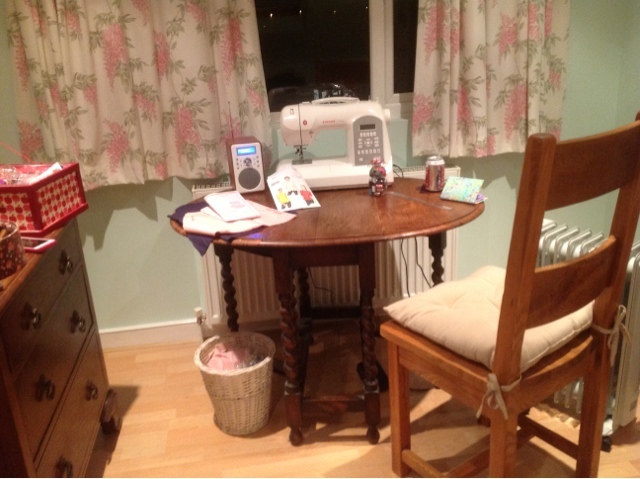 Fifi Fights Fabric: Sewing Room set up begins! 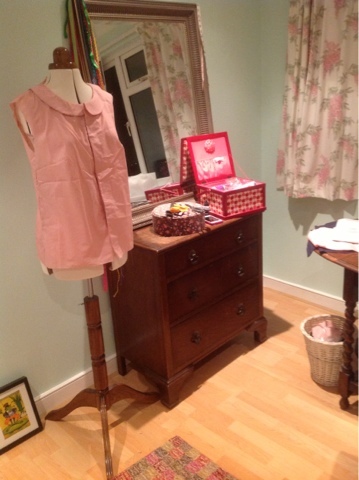 Sewing Room set up begins! After getting my sewing machine for Christmas, I decided to upgrade from the kitchen dining table, to move all my stuff upstairs to the loft bedroom. A dining chair stolen from the kitchen! Will have to get a proper one soon to keep up there. 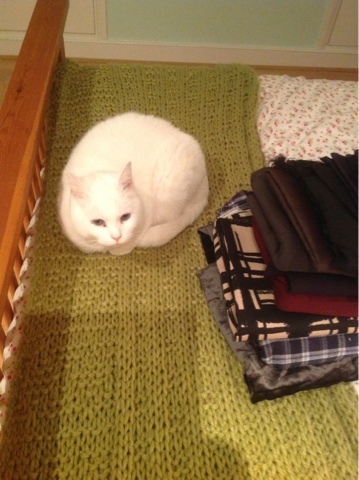 Claude the naughty white cat has taken to sitting next to my fabric stash! I love it up there! It's so quiet and the view over the roof tops is very calming. 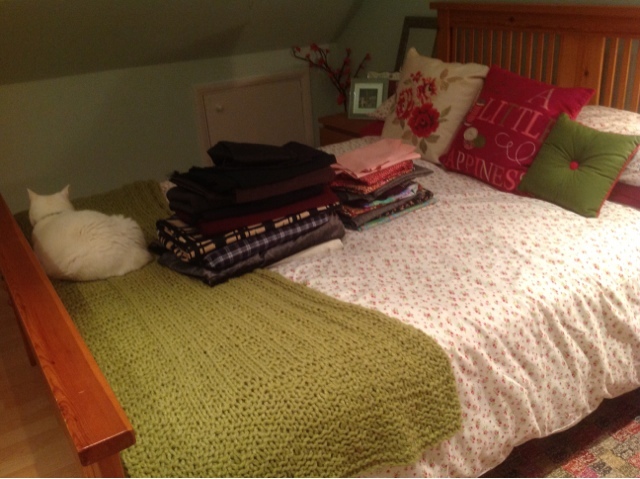 Note my Sew A Little Happiness cushion on the bed, purchased from Next. 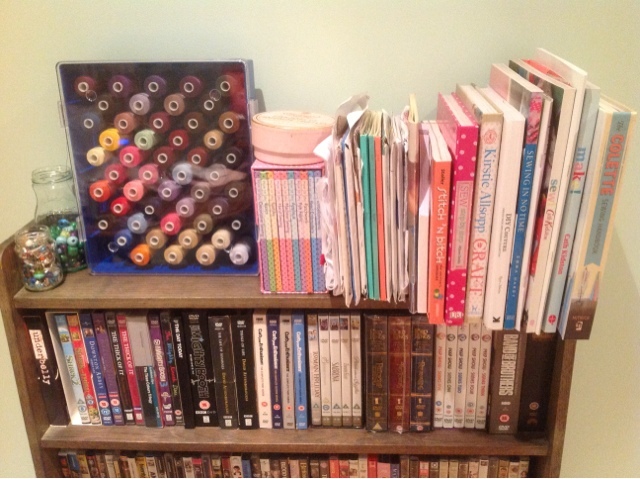 They have a bobbin lamp I really want too but it's £50. Ill wait and see if it goes on sale at some point.